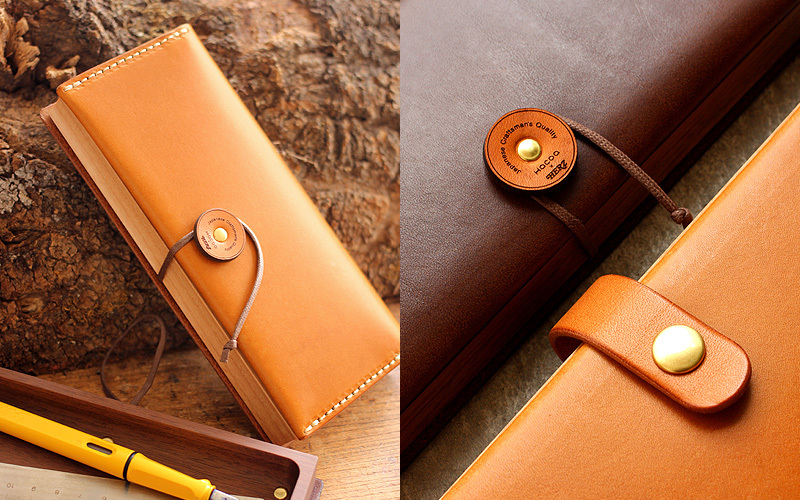 It is a collaborative work with HERZ who manufactures leather products by the hands of their craftsmen in Japan. 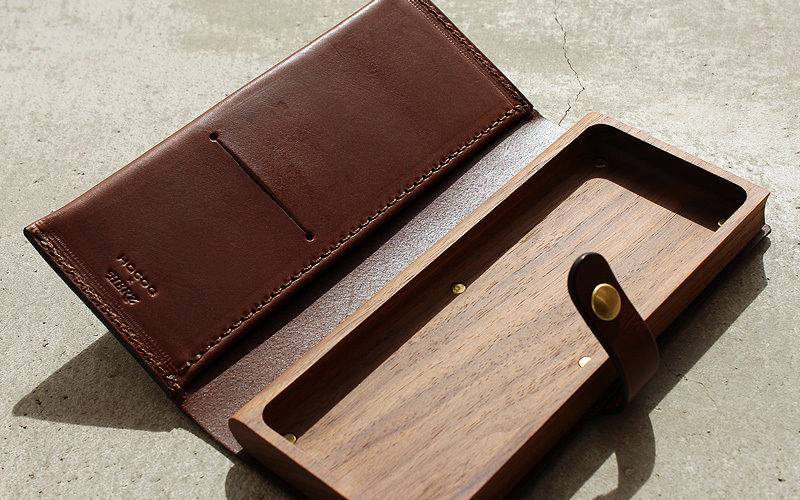 The combination of carefully finished wood and leather stands out on a shelf when this pen case is stored between books. 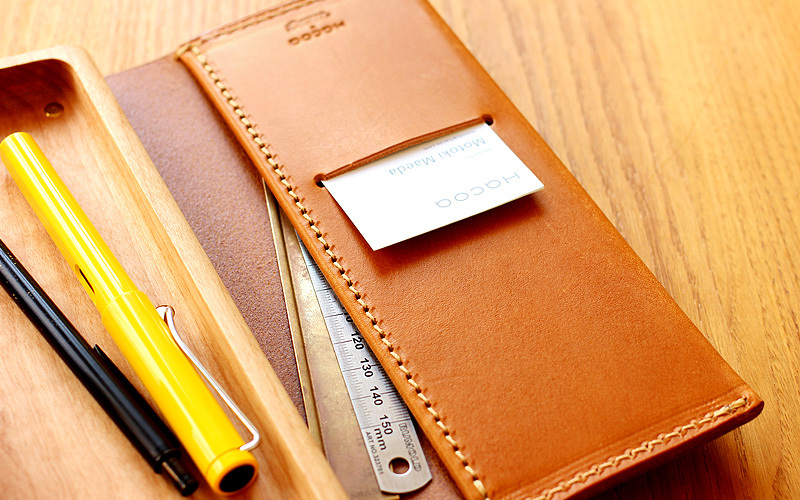 With time and regular use, graceful patina can be developed on both cowhide leather and solid wood of alder or walnut.